Happy Birthday America from AZ RV Parks! As we celebrate our freedom and independence it’s always nice to have a little fun. 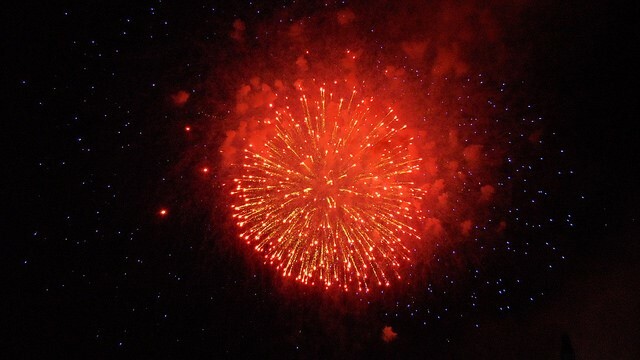 Here are five fun things you can do this 4th of July courtesy of Palm Gardens Mesa RV Parks. 1. Plan a BBQ. A patriotic BBQ is sure to be a hit with your closest friends and family! Hit the Grill and play some games to celebrate America. Be sure to get all the supplies you need ahead of time so you don’t get stuck in the grocery store rush. What a perfect way to enjoy some AZ sun. You could have it at a park or your Palm Gardens mobile home, either way it is a great way to celebrate. 2. Visit your family. Hit the road and visit your family. Nothing like seeing your grandkids have some patriotic fun. Have some ice cream and let the kids do some crafts with you. Then have a nice family pot luck before heading somewhere to see the fireworks. 3. Play some Golf. Maybe just spend the day with your fellow retired friends on the golf course. With so many beautiful golf locations in Arizona you are sure to find a beautiful course to play. Just be sure to stay hydrated. Pack some snacks for the course and ride around on some golf carts. After 18 holes you could grab a late lunch and enjoy a beautiful Arizona night. 4. Plan a community Block party. What could be a better way to bring your Mesa RV Parks together than planning a good old fashioned block party! Get to know your neighbors, invite all your families, and enjoy a great day all together. Everyone could contribute their own thing making it one great big party. 5. Watch the fireworks. There’s no better way to end the 4th of July. You need to watch some fireworks. 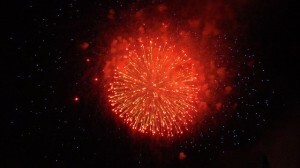 Whether it means driving to a nearby city, park, or maybe you watch a firework show like on your TV. Everyone should enjoy them.